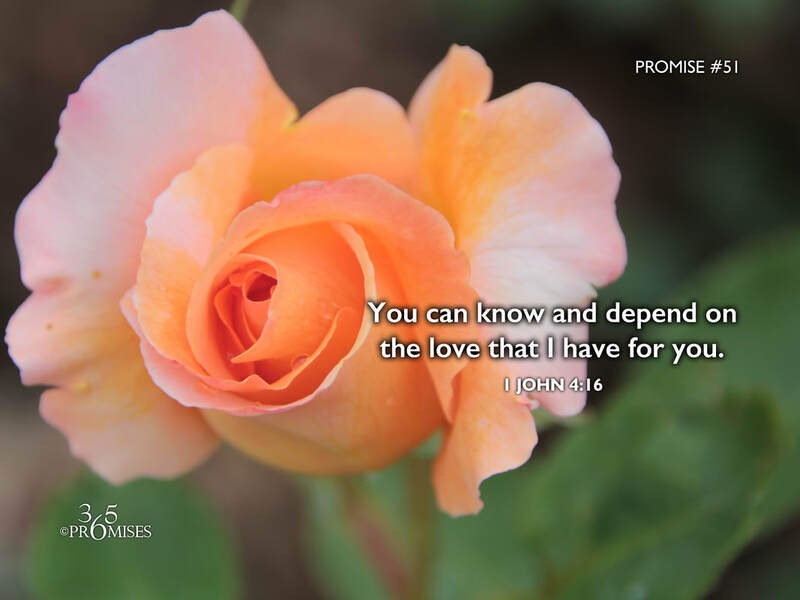 You can know and depend on the love I have for you. remains in God, and God remains in him. There have been many times in my own life where I have struggled with circumstances and have not had any pat answers or quick solutions to my problems. In the midst of these seasons in my life, 1 John 4:16 has become really meaningful to me. Whatever challenge you are facing in your life today, you can know and depend on the love that God has for you. His love will comfort you, His love will sustain you, His love will carry you through any situation. May each one of us run into the arms of our God and Father today knowing that we can depend on His love to be enough for us no matter how difficult our journey. God is love. He not only loves, but the very core of His being is unconditional, everlasting love for you and I. May the reality of this promise go deep into our hearts today so that we would learn to make our home living in the love that God has for us.